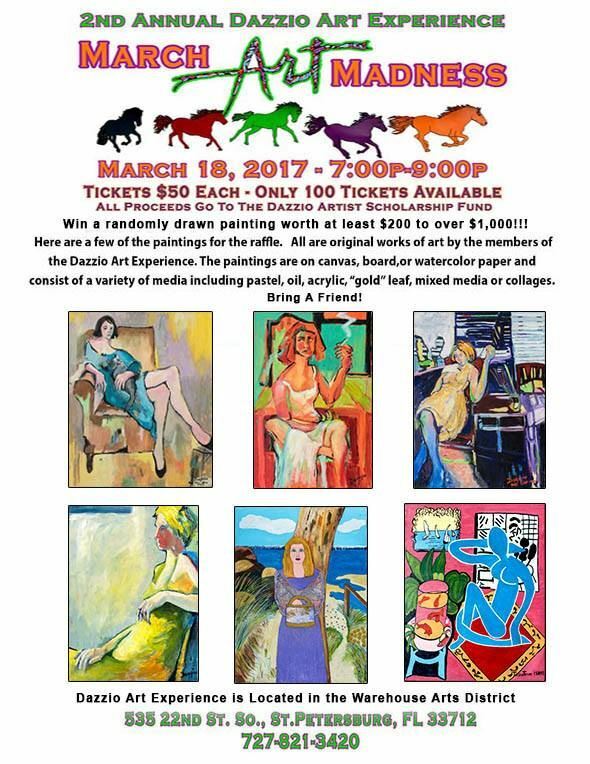 Don't MISS the 2nd Annual March Art Madness at Dazzio's! valued at $200 to $1,000.00!!!! Refreshments and treats. FOOD, DRINKS AND FRIENDS and take home professional ART for $50!!!! Perfect night out!!!! !